Campbell County is part of the Northern Kentucky area just south of Cincinnati, Ohio. Campbell County was founded in 1794, two years after the creation of the Commonwealth of Kentucky. Campbell County is named in honor of John Campbell, an Irish immigrant who was a soldier, explorer, statesman and on of the drafters of the Kentucky constitution. Campbell County and its surrounding cities which include, Alexandria, Newport, Belleview, Cold Spring, Crestview, Dayton, Fort Thomas, Highland Heights, Melbourne, Mentor, Silver Grove, Southgate, Wilder and Woodlawn continue to grow due to its appealing proximity to downtown Cincinnati. This allows its residents to work in Cincinnati and surrounding areas and enjoy the close knit community Campbell County has to offer. Shopping, Dining, Entertainment – Campbell County features a wide assortment of ethnic and American cuisine, as well as local and national chain stores for shopping. Campbell County is home to the Newport on the Levee – an area full of shopping, dining and having fun. 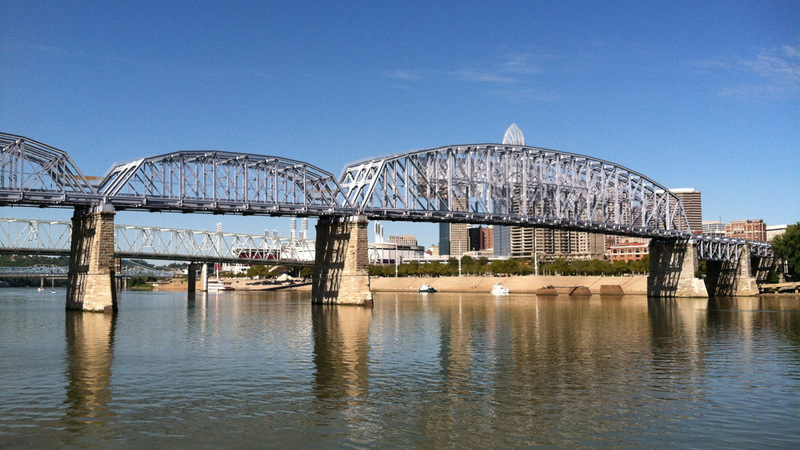 It is located along the banks of the Ohio River. The Newport Aquarium is also located at the Newport on the Levee and was named the top aquarium in the Midwest by the Zagat Survey. Within 10 miles of Campbell County sits the Cincinnati Art Museum, Cincinnati Museum Center, Arnoff Center for the Arts, Cincinnati Music Hall, The Cincinnati Reds Stadium, and The Cincinnati Bengals Stadium. Parks and Recreation – Campbell County is home to numerous golf courses. They include A.J. Jolly Golf Course, Flagg Springs Golf Course and Hickory Sticks Golf Course. Within 10 miles of Campbell County, you will find some of the most highly-rated and challenging courses in the state, region and the nation. Campbell County is located with water on three sides and offers thousands of miles of dedicated green-space. A.J. Jolly Park and Campground, A.J. Jolly Equestrian Barn and Campground, Morscher Field, Pendery Sports Park and the Hawthorne Crossing Conservation Area offer loads of family fun. Some of the top area attractions include Newport on the Levee, The Newport Aquarium, BB Riverboat Cruises, and the Bank of Kentucky Center. Living – Campbell County, Kentucky offers the best of both worlds: a close nit community that is close to downtown Cincinnati and its surrounding areas. This makes commuting for Campbell County residents easy allowing them to return home to a relaxing environment. Residents have a wide variety of housing options. If you want and stunning condo that overlooks the Cincinnati sy-line, a 100 year old home in Newport’s Historic District, or a newly constructed home, you’ll find it all in Campbell County. The cost of living is also well below the national average making Campbell County very affordable. The average home price in Campbell County is $120,000. Schools, Health, Transportation – There are 7 school districts in Campbell County. The Campbell County Public School system includes K-12 schools and features national award winning schools. Other School Systems include Bellevue Independent Schools, Dayton Independent Schools, Fort Thomas Independent Schools, Newport Independent Schools and Silver Grove Independent Schools. Campbell County also provides a quality selection of private schools. Northern Kentucky University is located in central Campbell County and is the Commonwealth’s fastest developing institution for higher learning. NKU offers 70 bachelor’s degrees, six associate degrees, 20 graduate programs, 1 Juris Doctor, and 2 Doctor of Education, as well as over 30 graduate certificates. Campbell County is home to St. Elizabeth Hospital, Fort Thomas. It’s won numerous national and regional awards. The county is also within 120 miles of an other nationally recognized hospitals. The Transit Authority of Northern Kentucky or TANK, provides transit services to Boone, Kenton and Campbell Counties as well as downtown Cincinnati. It takes people from their homes in Northern Kentucky to jobs downtown as well as service to various work sites in the southern areas of Northern Kentucky. Express buses travel the expressway providing a more direct access to the downtown Cincinnati area.